Quantum gases are realized by advanced techniques of atom trapping and cooling, and constitute a versatile, tunable system for the exploration of extreme states of matter, in the regime where quantum mechanics plays a fundamental role. A novel generation of traps with ring topology has been recently built. This geometry is particularly suitable for the study of superfluidity, and stabilizes circulating states. 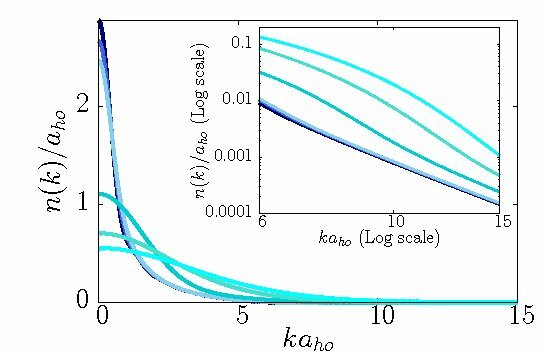 In the limit of a very tight quasi-1D trap, we have explored the dynamical response to a moving barrier. 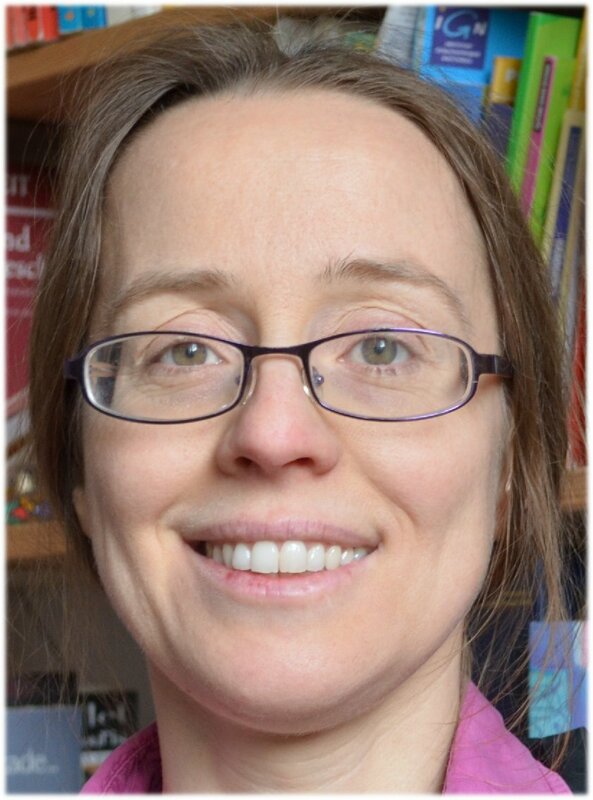 This allows to answer questions about the concept of superfluidity in one dimension and suggests correlated bosons on tight ring traps as possible candidates to generate macroscopic superpositions of current-carrying states. A two-color lattice potential with incommensurate frequencies yields a pseudo-disorder for the bosons, which may localize the atoms if the disorder is sufficiently strong. We have determined the final state of the system, which results from the competition between repulsive interactions – tending to delocalize the atoms, and Anderson localization – due to disorder. 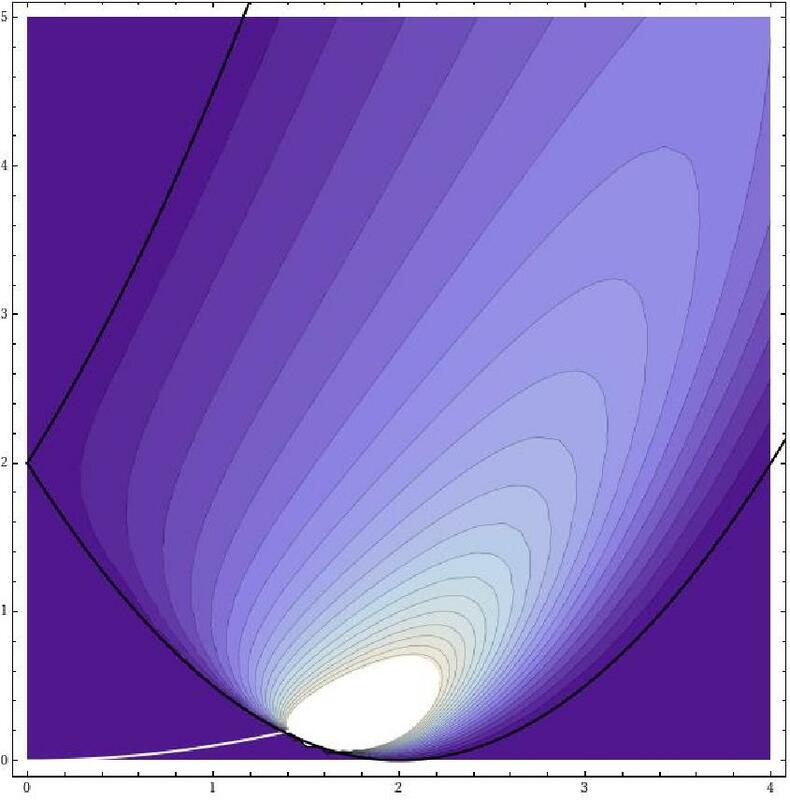 In a second work we have focused on polar bosons, where a rich phase diagram is found and we have explored the effect of the pseudo-disorder on the various phases. Experiments on ultracold atoms subjected to quasiperiodic potentials have been performed at LENS (Florence, Italy). In the Tonks-Girardeau limit of very strong interparticle repulsions in 1D, the atoms cannot circumvent each other and the many-body Schroedinger equation can be solved exactly by mapping onto a fermionic problem. 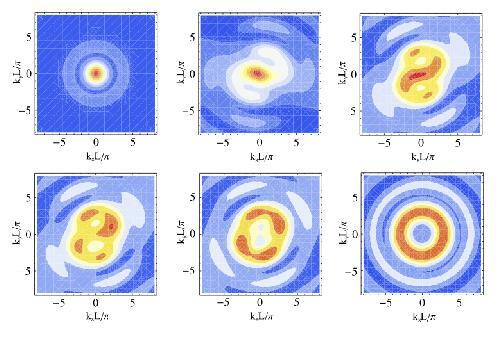 This allows to explore the details of a correlated quantum fluid subjected to an external potential and/or a time-dependent drive. We have extended the exact solution to a mixture of bosons and spin-polarized fermions, where nontrivial issues arise from the fact that the ground state has a large degeneracy. Bosons with contact interactions display typical 1/p^4 tails in the momentum distribution, with a weigth — the Tan contact — which contains information about the two-body correlations. We have shown that, at difference from 3D strongly interacting Fermi gases, the Tan contact increases with temperature. Furthermore, our Tan’s contact result is an example of universality in strongly interacting atomic gases. Exciton polaritons are composite bosons realized in seminconductor materials under driven-disspative conditions. 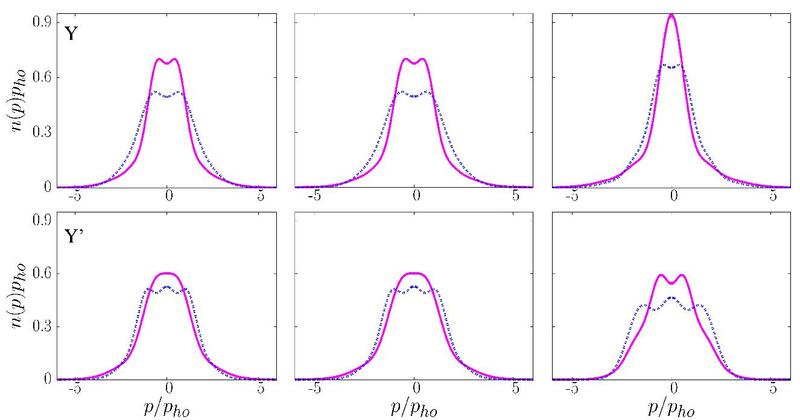 We have studied the coherence properties of quasi-onedimensional polaritons in ZnO, in collaboration with the experimental team (M. Richard, Néel Institute, Grenoble). We highlighted in particular the interplay bewteen losses and disorder in a weakly interacting polariton gas. 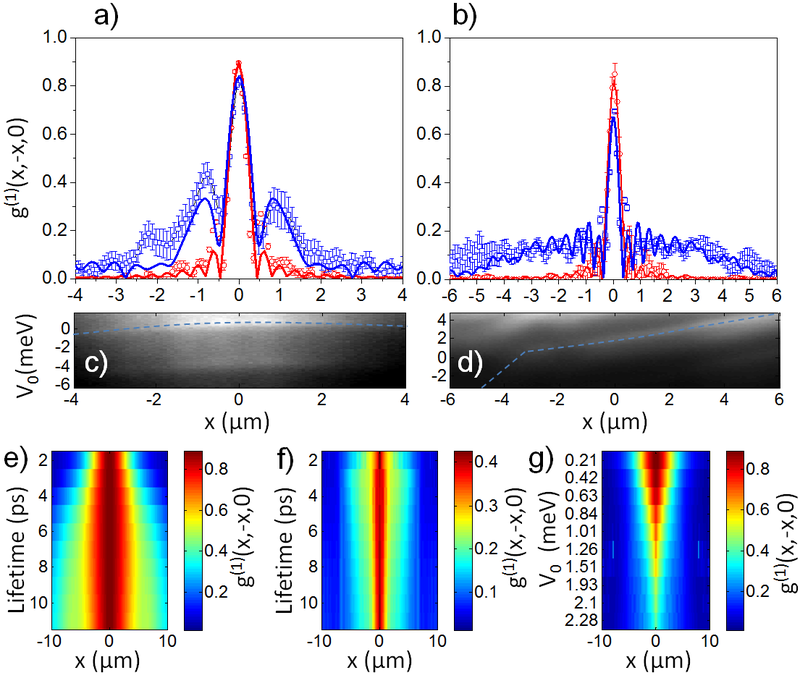 Bose-Josephson junctions are obtained by connecting two Bose-Einstein condensates through a « weak link » for example realized by a potential barrier. 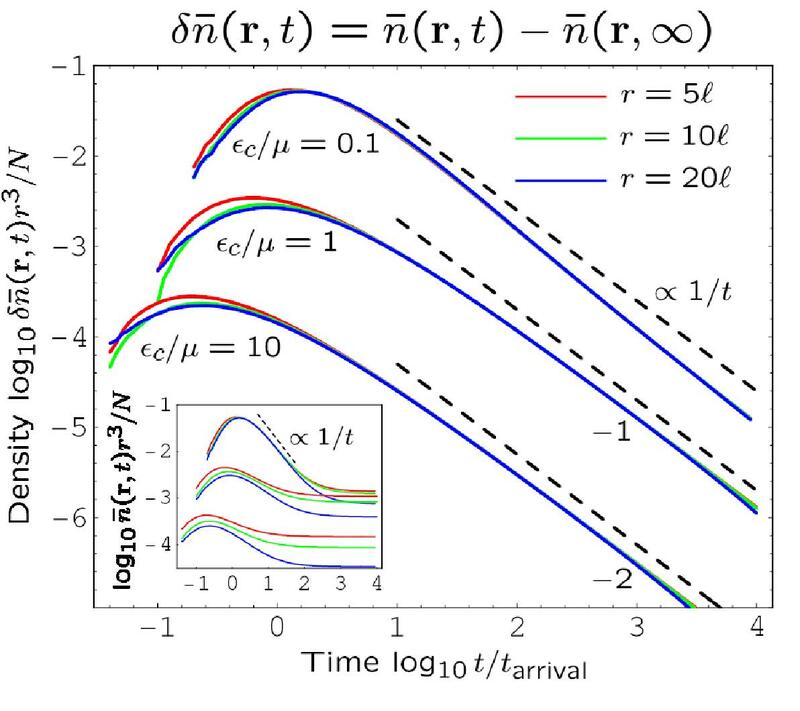 If the barrier is suddenly raised, the phase-coherence between the two condensates rapidly degrades, giving rise to spin-squeezed states and, on longer time scales, to macroscopic superpositions of phase states. These entangled states are useful for high-precision atom interferometry. We have proposed a full-counting statistics method to measure the degree of coherence between the components of the superposition. The two main sources of noise in the experiments are particle losses and fluctuations of the magnetic fields used to trap the atoms, denoted as « phase noise ». 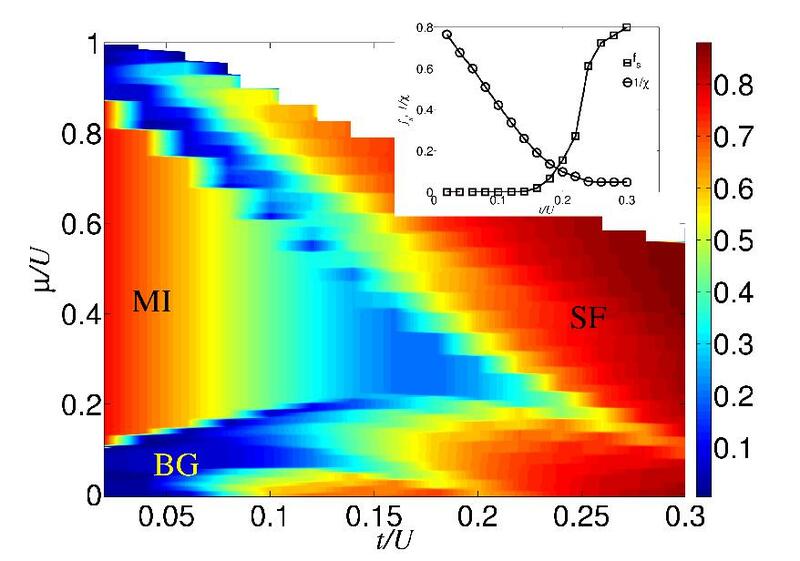 We have analyzed theoretically the effect of phase noise on the state of the Bose-Josephson junction, showing that macroscopic superpositions of phase states are quite robust under phase noise and could be used for high-precision atom interferometry. We consider a two-component Fermi gas with repulsive inter-component interactions. If the interactions are increased above a certain threshold, a ferromagnetic phase of Stoner type is predicted to occur. The simplest form of ferromagnet is the one oriented along the z-direction, that is a spatial phase separation between the two components. 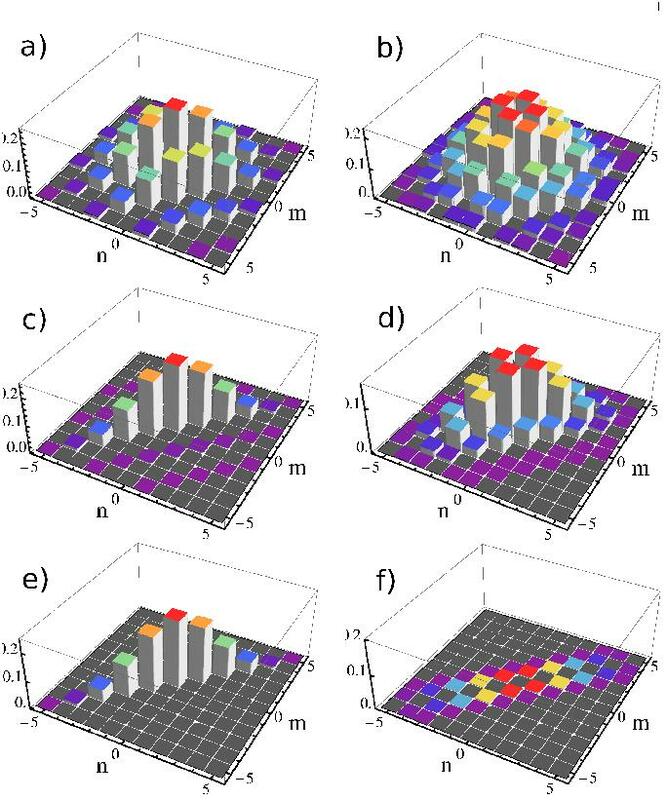 Using a many-body approach, we have studied the dynamical properties of such system and proposed a possible signature of ferromagnetism in the spectrum of the gas. 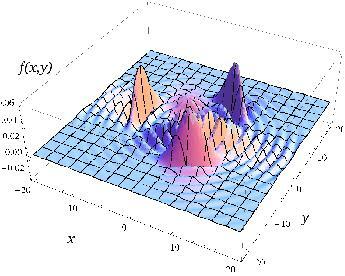 We have predicted that during the expansion of a Bose-Einstein in a 3D disordered potential a fraction of the atoms is Anderson localized. From the details of the expansions, it should be possible to extract the critical exponents for Anderson localization.